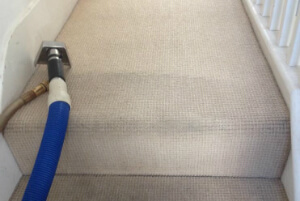 Waddicar L31 Dry & Steam Carpet & Rug Cleaning Services | Quality Property Care Ltd.
You can contact us at 0151 673 0008 where our team eagerly waits your phone call. Get in touch with our expert company and learn more about some other benefits of the service as well as how you can save time and money with Quality Property Care Ltd. domestic and commercial carpet and rug cleaning service in Waddicar L31. Don’t lose hope even if your most liked rug has suffered from what seems like a irreversible stain. The cleaners can effectively cope with a huge array of common and not-so-common stains, including: wine, oily stains, paint, , rust, vomit, blood, tea, coffee, moth damage and lots of more. The firm regularly invests a lot of resources into purchasing the latest, safest and most efficient carpet cleaning technologies. The cleaners are also continually being trained to safely and properly use them, and to cope with a variety of stains and materials. The modern carpet cleaning Waddicar L31 approaches are now affordable and accessible! The first thing you need to do to minimize the stain reach and the possible damage, is to blot out the stain with a piece of paper or a cloth. From edges in blot out the stain and check the paper or cloth or paper to see if it’s transferring. This will draw out most of the stain and leave just a small quantity for us to remove which make our job easier and your carpet’s chances a lot better. Once we arrive we inspect the rug and figure out which cleaning agent will do the job. The rug is cleaned with a hoover to remove any debris and prepare the fibers for cleaning. Once hoovered we apply the detergent on the spot and let it stay for a while so it can react with the spot and help lift it up from the fibres. To remove it all we use a slim nozzle and our powerful hot water extractor which blasts the spot with a hot steam jet while at the same time drawing all of the gunk and filth, as well as water, out with a strong vacuum. Nothing of the stain and detergent is left, with only about 5% of the moisture used to clean left to escape naturally. Dependent on the day and thickness of your carpet, the process should take anywhere around 3-4 hours.